Protesters at DePaul University on May 24, 2016. 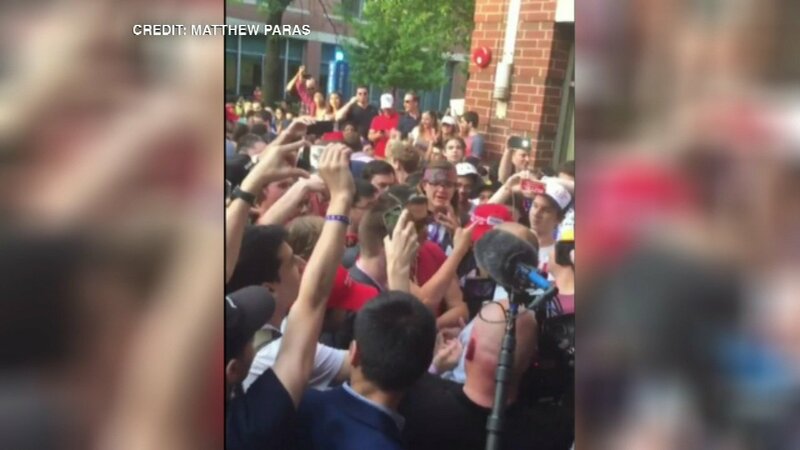 CHICAGO (WLS) -- Hundreds of people protest an appearance by a conservative journalist at DePaul University. The speaker, Milo Yiannopoulos, works for the conservative website breitbart.com. Protestors inside the event disrupted the speech, causing it to be cancelled. One person was arrested. No charges have been filed.